Not ready to jump into a membership? Not to worry - we offer a 30-day Personal Training Experience that allows you to try our services before making a commitment to us. Everyone is different; everyone requires a training program specifically designed for his or her needs. This is why STRIVE has created a singular membership for your experience. 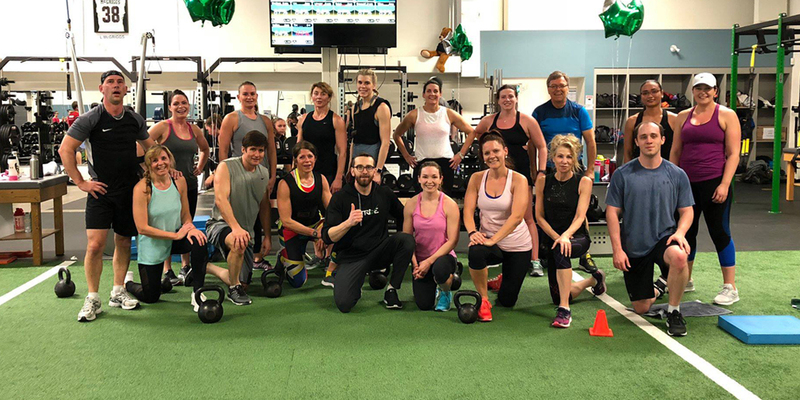 This membership includes Movement Development, Functional Strength and Power Training, and Conditioning Development which are all required for an increased quality of life no matter your goals. Enter a professional environment that allows programs specifically designed to improving your needs. Conditioning? Enter Cardiac Output and energy system development sessions. Movement? Enter KinStretch and Dynamic Neuromuscular Stabilization. Strength and Power? Enter Strength Training programs designed around your movement ability. Want a little more privacy at a slower pace? Enter Introductory Lifts focused around your needs. Witness increases in mobility, strength, power, flexibility, conditioning, sleep, mood, and more!! For people that want unlimited access and excel on all levels of life. Take the thinking and timetable planning out of your program and have full access to the facility at anytime. Reach the next level of fitness, with the ability to come on a daily basis. Structure your training schedule with a STRIVE coach and maximize your abilities. Everything required to live a healthy and fit lifestyle. With the addition of strength training, this program is all encompassing. We focus on developing strength and power through training density. Enter a professionally developed and longitudinal training system focused on your abilities. Allow STRIVE to be there for life, with extensive heart rate monitoring systems, movement training developments, and detailed coaching these sessions. Have your progress and training tracked and monitored through movement screening, weigh-ins, heart rate monitoring and beyond. Be a part of the STRIVE family and enjoy the life you've always dreamed of. Join the STRIVE, enter the training environment you deserve! If you want the individual focused attention of the STRIVE coaching and clinical staff, this is for you! Gain unlimited access that revolves around your lifestyle and needs whether on the road or around the clock. Training programs specifically designed to your needs and current abilities. Have access to heart rate and Omegawave monitoring to get a deep look at your current physiological readiness. Each session specifically designed to what your body can handle. Reach your goals efficiently, safely, and as quickly as possible. We will stop at nothing to achieve your goals!